Protoclassic, circa 100 B.C. - A.D. 250. Colima region of West Mexico, Comala Style. Provenance: 1) A Private Houston Texas Collection formed during the early 1960s. 2) The Tim Misenhimer Collection, Bel Air, California, 2003.
at the top of his head. The slip is red to reddish brown with areas of black resist decoration and some firing cloud and manganese oxide deposits. 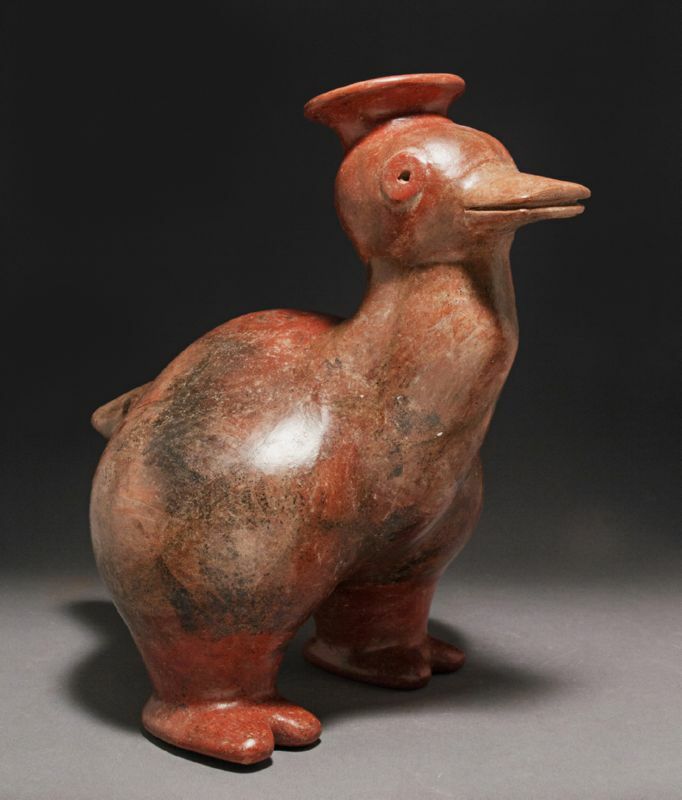 In Colima sculpture, most ducks are depicted smaller and sitting in nestled groups of two or more. This larger one is unique, in that it stands boldly alone and depicts an incomparable signature individuality.